The Houston-Galveston area has 16,000 miles of streams and shoreline providing a network of valuable habitat and ecosystem services for the region, connecting freshwater streams to productive coastal estuaries and connecting us to nature and to each other. Clean water is a foundation for our regional economy, contributing $4 billion annually through ecotourism, oyster harvesting, and commercial fishing. However, more than 80 percent of stream miles within the region fail to meet state water quality standards or screening criteria for one or more parameters. Projected population growth will continue to strain the health of waterways if proper management practices are not established. Want to learn more about our water quality? 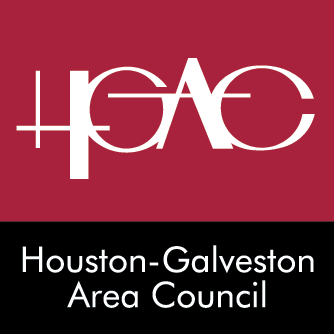 Once every five years, theHouston-Galveston Area Council completes a comprehensive report, the Basin Summary Report, which provides an in-depth assessment of water quality issues in 15 counties included in the H-GAC region. CEC strongly encourages you to learn more about the water quality issues–and success stories–associated with our waterways by visiting the website for the newly released 2016 Basin Summary Report: www.bsr2016.com. Save the Date: Wild & Scenic Film Festival On Tour. Please mark you calendars for January 25 & 26, 2017, for two nights of inspiring short environmental films. Free Class: Demystifying Irrigation Herman Park Conservancy will host this class on Wednesday, July 27, 2016, from 6pm – 7 pm Irrigation is one of the most critical components of any plant growing system. However, the ways in which water moves through the soil and is used by plants can be mystery to some gardeners. With some basic knowledge of water, soil and plants, any gardener can increase their yields and reduce disease. The class will be taught by Scott Snodgrass, Co-Owner of The Edible Group. Visit www.hermanpark.org for more details. Educators Night Out: Plastics in the Environment. Come enjoy a night out at the Houston Zoo just for educators! This one of a kind evening will feature ambassador animals, new STEAM activities, a special keeper chat and much more. Each of the activities during this event will provide you with ways that you and your students can help save animals in the wild. Earn 3 CPE hours while enjoying a night out just for you. Light appetizers and drinks will be provided. There are two opportunities to attend: August 9 and 11, 2016, from 6-9pm. For more information visit www.houstonzoo.org. Summer Salons: Water, Water Everywhere. Center for Houston’s Future will be hosting a series of breakfast discussions throughout the summer, bringing big-picture thinkers and regional leaders together for a deep-dive into our community indicators and next steps. The discussions are part of the Summer Salons. The final Salon, on August 10, is “Surging Water–Storm Surge Protection and Response.” Tickets are $25. Learn more and RSVP at www.futurehouston.com. Managing our Stormwater, From Gutter to Gator. TCWP is putting on a workshop called “Managing our Stormwater, From Gutter to Gator” on August 12, 2016, 9am-12pm. Learn about natural techniques for cleansing and conserving stormwater for humans and wildlife, at any scale–backyard to urban/suburban/industrial to regional. Our bayous and bays are greatly impacted by the quality of the stormwater flowing into them, and now is a great time to start improving it with practices we can implement at home, work, or beyond. The workshop will be held in a beautiful setting–the Gulf Coast Bird Observatory’s new LEED-certified building in Lake Jackson, TX. There is no cost, but RSVPs are required. to register, go to http://tcwp.tamu.edu. 32nd Annual Mayor’s Proud Partner Awards – Call For Entries. It’s that time again! Keep Houston Beautiful is now accepting award applications for the 2016 Mayor’s Proud Partner Awards. Gather your organization’s leaders together and select that special project you would like to submit demonstrating your commitment to keeping Houston beautiful! ALL applications must be submitted online and are due no later than 5 p.m. on Monday, August 15, 2016. Apply at https://form.jotform.com. Improving Macrobenthic Invertebrate Communities through Stream Restoration. Houston Wilderness is holding a meeting and field demonstration on August 16, 2016, on Improving Macrobenthic Invertebrate Communities through Stream Restoration. This meeting will be a great opportunity to see a technique for creating macrobenthic invertebrate habitat in restored streams through the use of HabiTubes. The field demonstration will take place at 8:30am, with speaker Patrick Barber from Acer Environmental, assessing the performance of HabiTubes placed in a Buffalo Bayou tributary. Following the field demonstration, a round table meeting will be held in the Houston Wilderness conference room at 9:30am. Please RSVP to [email protected] if you plan on attending. Nominations Open–Terry Hershey Texas Women in Conservation Award. Audubon and the Texas Women in Conservation Award Program Steering Committee are now seeking nominations of women conservationists who, like Terry Hershey, have shown leadership, innovation, and passion for the landscapes and wildlife of the Lone Star State. Nominations can be submitted by email or mail by the addresses below and will be accepted now through August 19, 2016. To learn more, visit http://tx.audubon.org/conservation/terry-hershey-award. Bucket Brigade Interpretive Beach Tours. The Bucket Brigade is out on Galveston beaches providing FREE interpretive tours of the coastal and marine ecosystems! Tours last approximately 45 minutes and include hands-on exploration of questions such as “what is in out water”, “how is seaweed a good thing” and “how do I connect to the ocean” that is fun and educational for ocean-lovers of all ages! Tours are available at multiple Galveston beach locations, including Stewart and East Beaches, during the weekends in April and May and daily in the summer. Sign up for tours is on location. For more information on tour times and locations, please visit www.artistboat.org or call 409-770-0722. The Bucket Brigade is a program of Artist Boat and the Galveston Island Park Board of Trustees. H-GAC Releases 2016 Basin Summary Report. More than 80% of stream miles within the Houston-Galveston region currently fail to meet one or more state water quality standards or screening criteria. The region’s projected population growth will continue to strain the health of local waterways. The Houston-Galveston Area Council, in partnership with the Texas Commission on Environmental Quality (TCEQ), is pleased to announce the completion and release of the 2016 Basin Summary Report. The comprehensive report, completed every five years, provides an in-depth assessment of water quality issues in 15 counties included in the H-GAC region. The report provides detailed data analysis, trends, and recommendations for improving and protecting water quality and offers an overview of H-GAC’s Clean Rivers Program activities. The report is available in an interactive online format at www.BSR2016.com. To request a hard copy of the executive summary, please e-mail [email protected], or download the full report at www.h-gac.com. Texas A&M National Association of Environmental Professionals Career and Internship Expo. The annual NAEP Expo will be held at Texas A&M October 7, 2016. Environmental organizations are invited to host a table to network with environmental majors students. Deadline for early bird registration is July 31. Sunday Evening Conversations: Reducing Toxins in the Home. The next Sunday Evening Conversation will be held on July 31, 2016, at 6pm at Christ the King Evangelical Lutheran Church. Hermann Sanders, a public information officer and communications liaison for Harris County, will offer a pre-recorded talk on Reducing Toxins in the Home. Hermann supports the needs of the Communications and Public Involvement Program of the Public Infrastructure Department. Hermann will also provide extensive FAQs for any questions that may arise during the pre-recorded talk. If you would like to join this conversation, contact Lisa Brenskelle at [email protected] to receive an invitation to the talk, and visit http://ctkelc.org. Certified Arborist Test Prep Course. This course is designed to teach you arboriculture knowledge (the practice & study of the care of trees) and prepare you to take the ISA Certified Arborist Exam. All 16 chapters from the ISA Certification Study Guide will be covered in detail by professionals working in the field of arboriculture and urban forestry. The class will be held July 29 & 30 and August 5 & 6. Registration is $250. Learn more about the Certified Arborist Test Prep Course. From the EPA July 2016 Newsletter: Trash Free Trinity River Basin. The Trash Free Trinity River Basin will implement a new tool called “Adopt A Spot,” an interactive geographic information systems tool that maps out the Trinity Basin through the state of Texas, and pinpoint litter/aquiatic trash points in Texas counties. This will help environmental organizations and citizens to find points to adopt and foster for clean-up efforts. Check out the Texas State University’s Meadow’s Center Map for more information and to check out the interactive map. 2016 Texas Environmental Leadership Awards. The Texas Environmental Leadership Awards recognize true stewards of environmental change in Texas – individuals, communities, organizations, and businesses developing and maintaining programs involving recycling, composting, sustainable materials management, public education and outreach, special event recycling – and so much more. Awards are a great way to get recognized for the hard work that you and your staff do every day to make Texas better! Applications are due August 5, 2016 by 5pm. Award winners will be honored at a special ceremony and dinner in San Antonio as part of the Texas Recycling Summit on the evening of Tuesday, October 18, 2016. Learn more at https://recyclingstar.formstack.com. Texas Environmental Excellence Awards. The Texas Environmental Excellence Awards (TEEA) honor achievements in environmental preservation and protection. As the state&#39;s highest environmental honor, the Office of the Governor and commissioners from the Texas Commission on Environmental Quality recognize outstanding projects from nine diverse categories: agriculture, civic/community, education, individual, innovative operations/management, pollution prevention technical/technology, water conservation, and youth. You can apply online at teea.org/apply; this page also contains helpful information on how to write an effective application. If you would like an example of a winning application, send your request to [email protected] and include one (or more) or the award categories. The last day you can submit is September 30, 2016. Apply at www.teea.org. Read more: TEEA. Restoration Project Proposals. The Deepwater Horizon Texas Trustee Implementation Group (TIG) has announced the beginning of the next phase of Deepwater Horizon Natural Resource Damage Assessment (NRDA) related restoration planning (see full announcement below). The Texas TIG is prioritizing current restoration planning efforts on restoration types that were not addressed previously by Early Restoration: 1) restore and conserve wetland, coastal, and nearshore habitats; 2) restore water quality through nutrient reduction (nonpoint source); and 3) replenish and protect oysters. The Texas TIG will also consider projects for engineering and design that focus on the three restoration types mentioned above. Despite the focus on these restoration categories, the Texas TIG will continue to consider any important opportunities for additional restoration and protection of avian resources and sea turtles. Project submittals for this round of restoration planning must be entered into the NOAA Natural Resource Damage Assessment website or the WWW.RESTORETHETEXASCOAST.ORG webpage project portals by August 31, 2016. All proposals received by that date will undergo review and consideration during the selection process. TV: Texas Parks & Wildlife. Broadcast on KUHT Channel 8 at 3:00 PM each Saturday and on municipal access cable channels in Baytown, Deer Park, Houston, Texas City, Galveston, Nassau Bay, Pasadena, Seabrook, Sugar Land, and on HCC TV. More info on the TPWD website (* indicates a segment about the Houston area). For a preview, visit TPWD’s YouTube Page.